Weekly Update 2017-05: The calming poppy sounds of the Derevolutions, the wonderful connotations of riding the struggle bus, and becoming the performer as well as the audience at Kid Koala' Satellite Concert. I've done some work for my Chai Mitzvah class and met up with my mentor for our second meeting. She helped me narrow down my focus into the research and creation of a book that will comprise my learnings of what I consider to be the five most important Jewish holidays of the year. I'm pretty excited because this means I get to teach myself about the holidays and come out with a lovely manual to reference throughout my life. Plus, maybe it can be a portfolio piece? It's been a while since I've made a nice old-school print piece. I've got my heart set on convincing my company to send me to DesignThinkers this May in Vancouver for a few reasons. Other than there being an excellent lineup of speakers (Chip Kidd and Timothy Goodman), I really want to visit the west coast and hang out with some friends out there. And of COURSE it's imperative that I visit my future home of Portland to see what's been going on since I last visited. 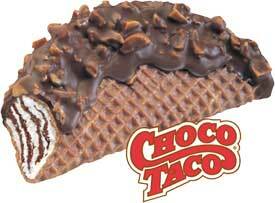 #1 to do on the list will be the same as last time: procure a Choco Taco. My other main goal this week is to get started on the code portion of my blog redesign. I'd really like to try my hand at using flexbox for the layout, so we'll see how challenging that becomes. My coworker dropped a load of genius on us at the lunch table today, as he discussed his recent issue with the learning curve of an iPhone game. He described his plight as “riding the struggle bus,” which I first laughed at for five minutes, and then moved straight into looking it up on Urban Dictionary. Lo and behold, it does exist outside of my coworker's brain, and I can happily say I will be using it all the time. Not only does the phrase properly articulate a feeling we've all had from time to time, but it paints a picture of a hardship with a little lightness and humour. It also depicts that while you may be riding the struggle bus now, no busride lasts forever and it will be over soon enough. I'd venture to say that we are all riding some kind of struggle bus with the state of things in the United States right now, and this sort of phrase is what keeps me going. I went to another extremely inspirational concert last week, only two days after Cherry Glazerr. How lucky am I? This one was set by Kid Koala, a DJ I had seen open for Arcade Fire at the Air Canada Centre back in 2014. As he said to my friend and me when we spoke with him before the show, he likes to make ambient music in the winter. Since ambient music is low-key and doesn't make for a great live-concert format, he decided that he would redefine the meaning of a concert altogether. The room he played in at the back of the Rivoli on Queen Street West was full of mini tables, each set with a turntable and three records. Each of the six sides of the records was colour-coded, and meant to be played when the Philips Hue light in the turntable shone the corresponding light. The whole thing was excellently analog, complete with a “chemical puppeteer” onstage making lovely images by squirting all sorts of liquids and semi-solids into a fishtank and onto a swivelling plastic surface, which were then projected onto a DIY handmade ‘satellite’ hanging from the ceiling behind the performance. The bulk of the singing for the album was done by a woman who unfortunately could not accompany the tour, but she had recorded her voice onto these lovely old paper cards with a magnetic strip, which Kid Koala passed through a machine that read the data off the cards as they moved through. They were kind of like huge credit cards that had singing data on them. It was wild. Watch a clip of all of us (crowd and Kid) making beautiful music together.